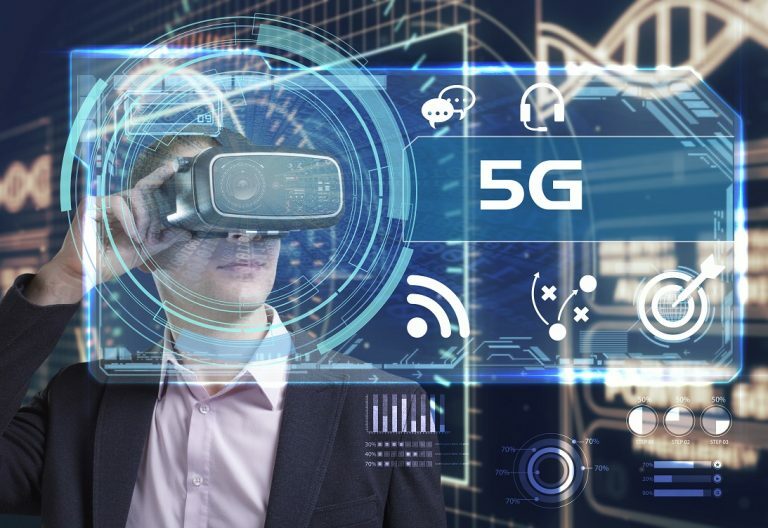 While 5G specifications are still in process and in fact won’t be complete until 2020, there is plenty to start thinking about today. The most important thing to understand about 5G is that it isn’t more of the same. 5G’s stated goal is to achieve an order of 1000x improvement on current capabilities: 1Gbps to 10Gbps per cell in a square kilometer. The drivers for a 1000x improvement are the technologies that are slowly but surely changing our world. We wrote about this in our last post. Virtual reality, augmented reality and IoT will all need ubiquitous, persistent connectivity. And we’re expecting a boatload of devices to be in use pretty soon. Ok, but how are we going to achieve 1000x improvement? 4G is the 4th generation of cellular technology, and it’s come a long way. And even 4G isn’t fully deployed yet. In order to achieve entirely different results, we need to think of an entirely new frontier in radio technology. Until now cell technology has operated on lower frequencies, sub-6GHz, and mostly sub-2GHz. This spectrum is rife with competing technology, and not very broad. It also has good propagation, which has been a good thing so far, but also means self-interference ultimately limits achievable capacity. There is some additional spectrum that can be freed, but it will be hard to achieve even a 2x factor of the available spectrum resource. We can try to use more spectrally efficient modulations but that is not without the implication of increasing the required signal/noise requirement. Cells are already using as high as 64QAM modulations. We could try to jump to 256QAM, but that would only yield a 30% improvement. And the cost would be a reduction of coverage due to increased signal/noise and signal/interference requirements. Another potential avenue of improvement is MIMO – multiple input multiple output. MIMO uses multiple antennas in tandem in order to increase throughput. However these antennas are relatively large, and it becomes challenging to put more than two or three antennas in a smart phone. Increasing MIMO over what is typically used today will yield a 2x improvement in spectral efficiency. Optimistically combining the factors mentioned above, we achieve less than a 6X improvement. A far cry from the 1000X 5G is aiming for. It’s clear: we need a game changer. Let’s side track from spectrum for a moment to talk about Cloud RAN. Cloud RAN architecture calls for deploying remote radio heads that are preferably air-interface agnostic, instead of cellular base stations. These RRHs will be connected via a front haul link to a virtualized cellular network that runs on servers in the cloud, so the base station function will be virtual. This will make it easier to manage/upgrade and change base stations and standards. Cloud RAN architecture is used for some of today’s 4G deployments, with Japan and South Korea leading the market. It will most likely become the defacto architecture in 5G networks. 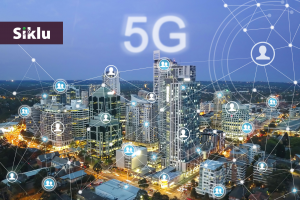 5G networks will be much larger than today’s cellular networks and efficient management is key to profitable deployment. As a side note, in Cloud RAN the fronthaul is expected mostly to use fiber due to the throughput requirements. A typical link between the 4G RRH site and the network may easily require more than 10Gbps throughput. Back to our game changer, which we think will be – yes – millimeter waves. I know, Siklu is a millimeter wave company, of course we think that they’re the best way to achieve 5G targets. As it happens, this recognition goes beyond Siklu. The FCC just released a whopping 7GHz of spectrum for 5G in the millimeter wave bands. All the major carriers have plans to test millimeter waves for 5G. And most of the 5G consortiums – such as US Ignite , Rapid5G and mmMagic – are taking a close look at millimeter waves. What makes millimeter waves a good choice for 5G? For starters, it has much more spectrum than sub 6GHz. Including the spectrum the FCC just opened up, we’re talking about 14GHz of spectrum starting at 57GHz and continuing all the way to 71GHz. The millimeter waves offer 100X more spectrum than is typically in use today in cellular access networks. In addition, millimeter waves have low propagation capability. This makes them less prone to interference. Less interference means they can be deployed close together, and a densification of the network is crucial to getting all the way to 1000X. Since mmWaves don’t pass through walls, the vision is for dense deployment of remote radio heads both indoor and outdoors, as many as needed to enable the 1000x capacity jump envisioned for 5G. The lower propagation capability also means that mmW radios typically require a clear line of site for persistent connectivity, which doesn’t make them likely candidates for connecting to fast moving devices like cars. Connection to slowly moving devices is typically enabled with the assistance of beam steering antennas. Beam steering antennas track users, and adjust the beam direction to maintain connectivity. Beam steering antennas in mmWave frequencies is a proven technology in use for WiGig communications. Siklu has a working, installed product that uses a beam steering antenna. Siklu is working on this as part of the Rapid 5G consortium, a European-Japanese consortium evaluating mmW technology for 5G. If you’re interested in keeping up with mmW and 5G technology, follow the consortium’s news section. 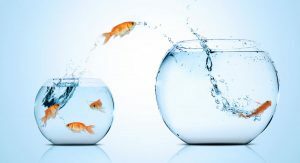 Home » Blog » Why 5G Changes Everything?